Nanjing Yunjin is an exquisite kind of silk brocade from Nanjing, China. 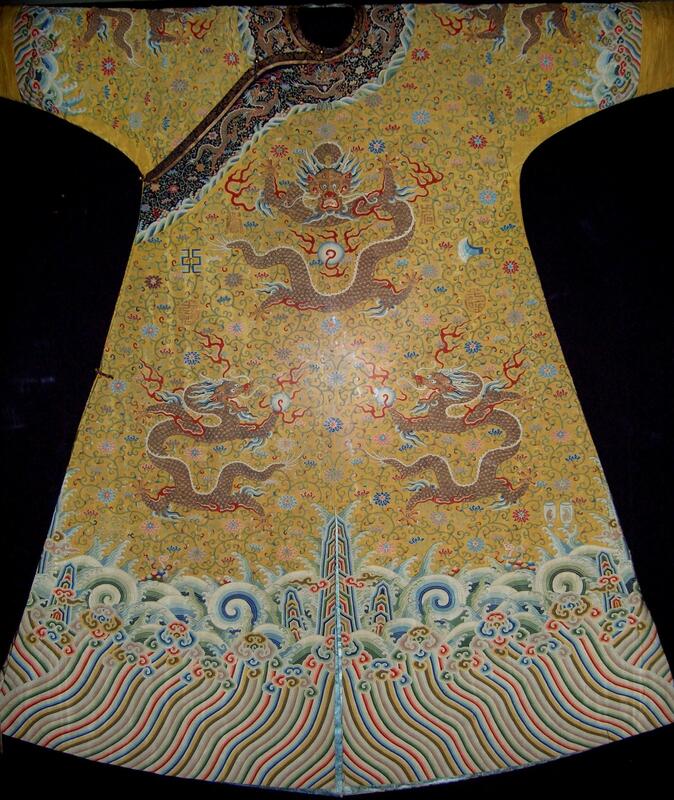 “Yunjin”, meaning “beautiful as clouds at sunset”, is a more than 1500 year old craft incorporating fine materials such as silk, gold and peacock feather yarn. In the Chinese tradition of weaving Nanjing Yunjin brocade, two craftspeople operate the upper (sorting threads) and lower parts (weaves) of a 4 meter high loom to produce textiles. A team can produce only five centimeters of yunjin per day. Preserved primarily in Jiangsu province in eastern China, the method comprises more than a hundred procedures, including manufacturing looms, drafting patterns, the creation of jacquard cards for programming weaving patterns, dressing the loom and the many stages of weaving itself. 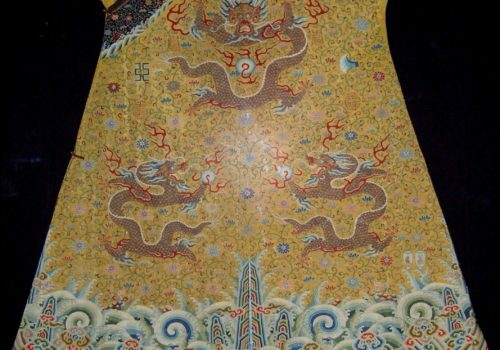 The technique was once used to produce royal garments such as the dragon robe and crown costume; today, it is still used to make high-end attire and souvenirs. The production can be traced back to the officially-run weaving factory “Jin Bureau”, which produced the brocade only for the royal family. It was not until the late Qing dynasty that the development of Nanjing cloud-pattern brocade entered its period of full bloom; then the products were sold to the common citizens.